One is about a real-life warrior, and the other on an acid attack survivor. Ranbir Kapoor starrer "Shamshera" and Alia Bhatt-Ajay Devgn starrer "RRR" will be battling it out at the box office. 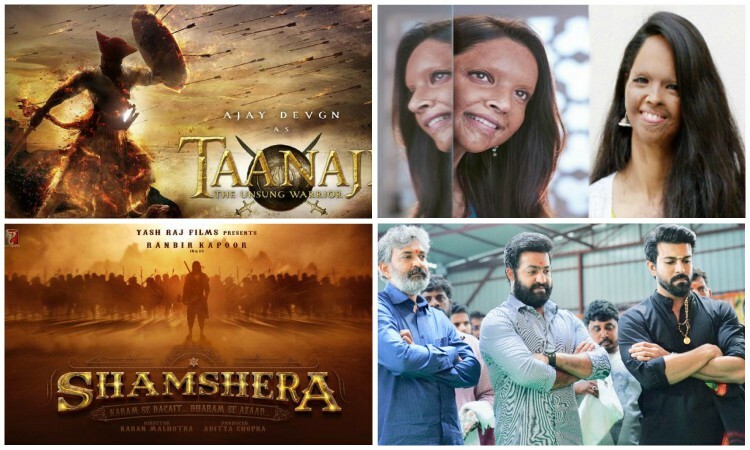 While the makers of "Shamshera" announced the release date last year, filmmaker S.S. Rajamouli unveiled the release date of "RRR" -- a fictional story on two real-life heroes and freedom fighters Alluri Seetharama Raju and Komaram Bheem -- just earlier this month. Filmmaker Rohit Shetty's "Sooryavanshi" starring Akshay Kumar was earlier slated to hit the screens in December this year but the makers announced May 22 -- Eid 2020 -- as its release date. According to reports, Salman Khan and Alia Bhatt-starrer "Inshallah", directed by Sanjay Leela Bhansali, too will arrive on the same date. The fourth installment of "Krrish" will lock horns at the box office on Christmas.